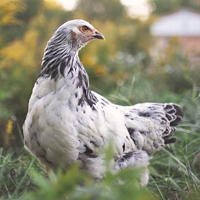 The Silver Laced Cochin is a new and very rare variety of Cochin chicken. 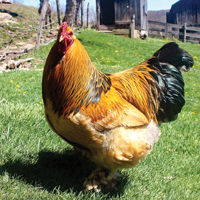 This is an impressive show breed with a quiet and gentle disposition. 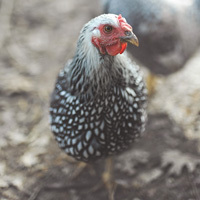 The coloring of the the Silver Laced Cochin resembles a Silver Laced Wyandotte with the typical silver-laced feather pattern, but with a single comb and feathered shanks and toes. 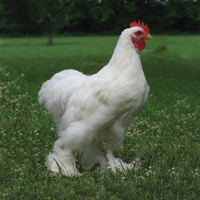 The Cochin breed is one of our family favorites — known for their abundance of soft, fluffy feathers from head to toe. 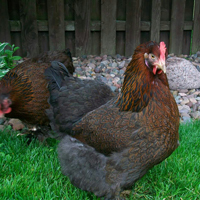 Cochin hens are good layers, extremely likely to set, and are a good option for families as backyard chickens. 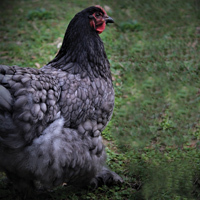 Do you ever offer Female Silver Laced Cochins? The silver laced are sold as st run only (not sexed). 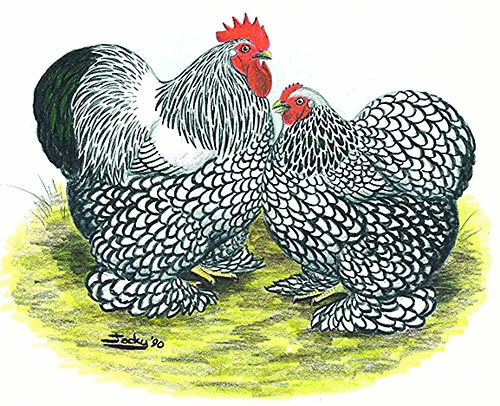 do you sell silver and golden laced standard Cochin hatching eggs? No, the hatching eggs are only sold as an assortment. 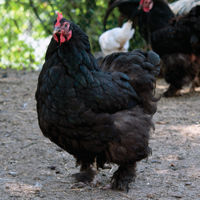 They are not offered for individual breeds. 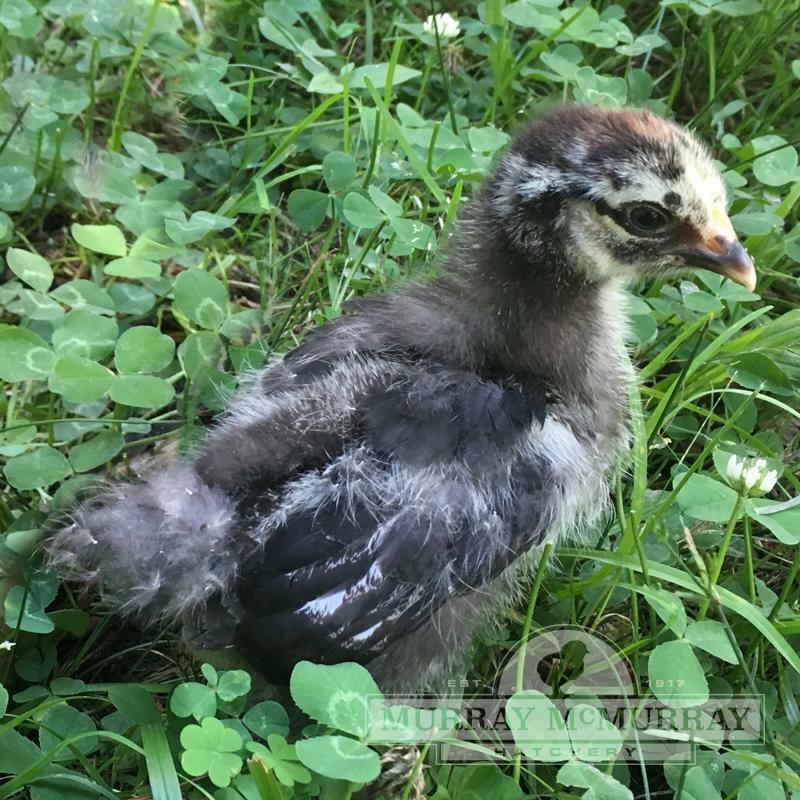 Amazing breedI recieved 4 chicks of this breed (all female) in April 2015, all are healthy and excellent quality, these birds are of show quality and very friendly. 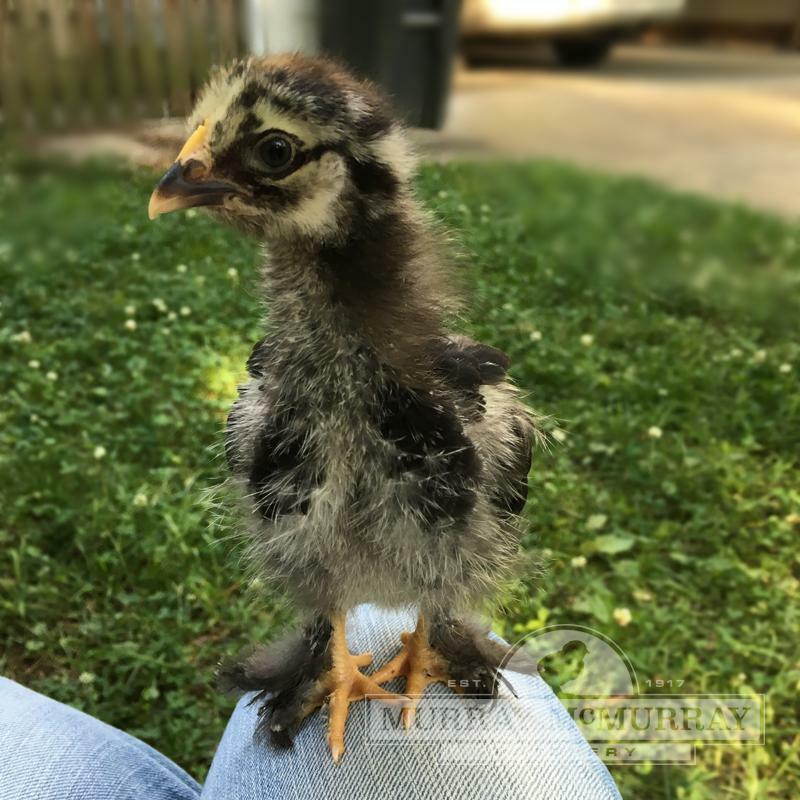 They mix well with other breeds. 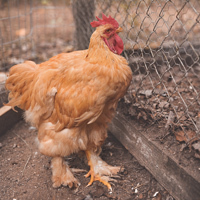 You need to keep the run and coop mud free to keep the feathers on feet in top shape. 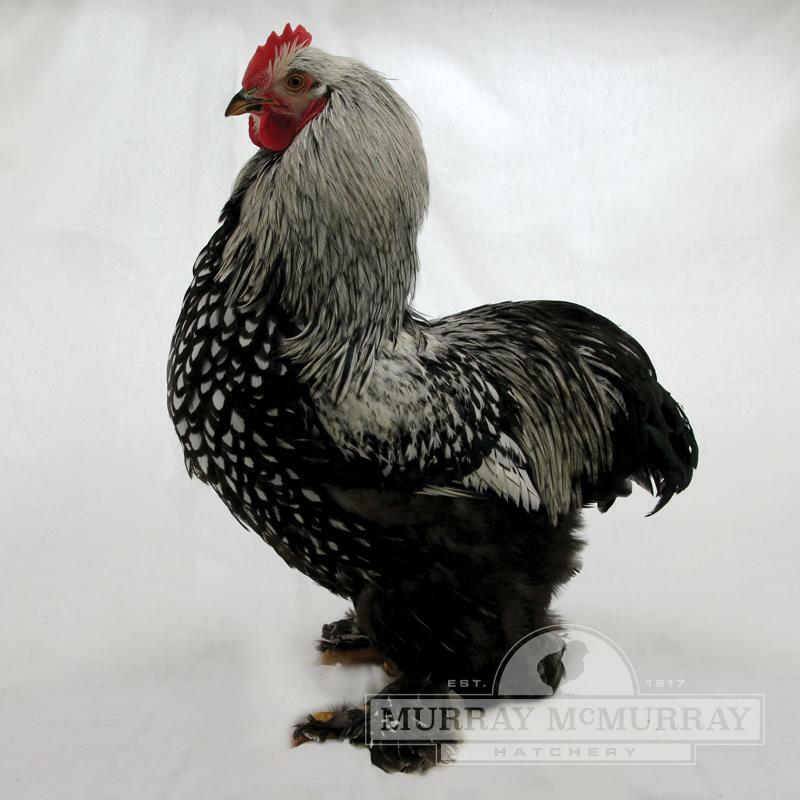 If you are looking for heavy bird breed to show, this is a great choice!